The Kingdom of Bhutan is sometimes overlooked, locked between Tibet and India, but the Land of the Dragon as the Bhutanese call it is home to some of the most exquisite Buddhist monasteries in the world. 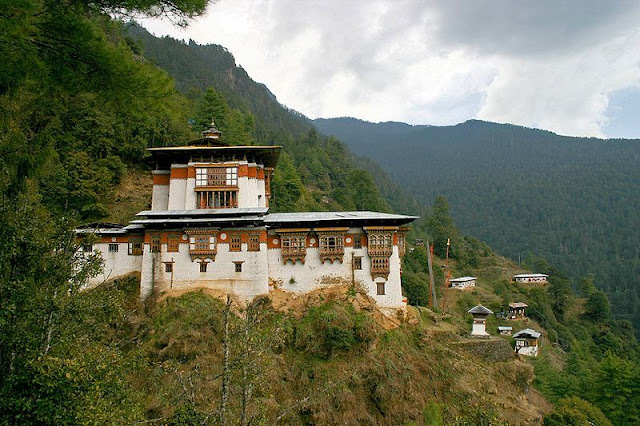 Here, we take a fleeting visit to some of the over forty monasteries in Bhutan – quite a number considering the population of the entire country is only around 700,000. 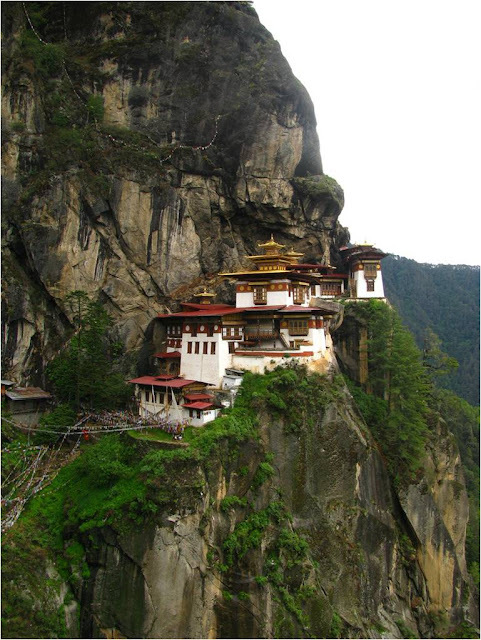 The Taktsang Monastery (also known as a Dzong) is high up in the Paro valley area of the country and work started on this amazing structure in 1692, the same year as the first Salem Witch Trial. 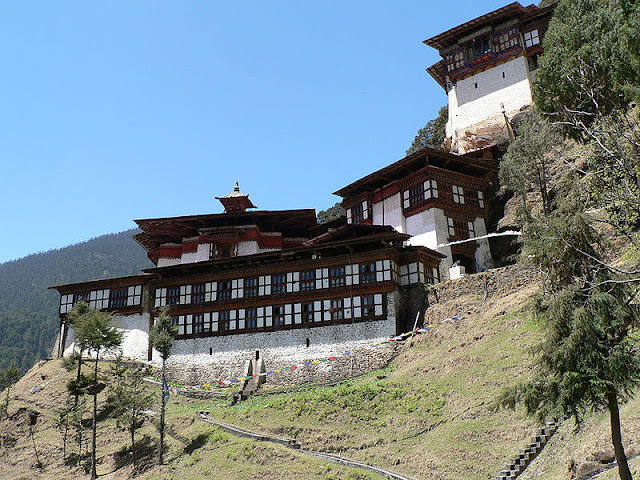 It is said that the famous guru Padmasambhava pursued his meditations here for three months. It is quite possibly the most famous cultural symbol of Bhutan. Local legend has it that the guru flew here from Tibet on the back of a tigress which gives the place its other name – the Tiger’s Nest. The cliff upon which it hangs is 3,000 feet above the valley below. One of the access routes is known as the Hundred Thousand Fairies – and you can see why from the picture below. Simply put, the place is magical. 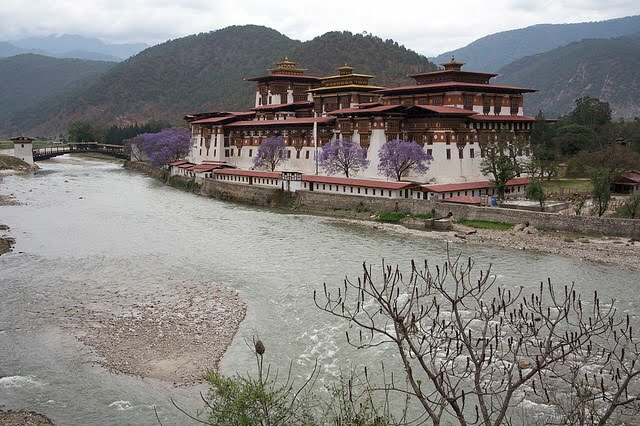 The old capital of the country (till 1955) is Punakha and it is home to perhaps the most imposing Dzong in the country. When built they also served as protective fortresses so they are usually set in the most commanding position geographically – such as at Taksang or here at the confluence of the rivers. It was finished in 1638 – and as such is the second oldest in the country. 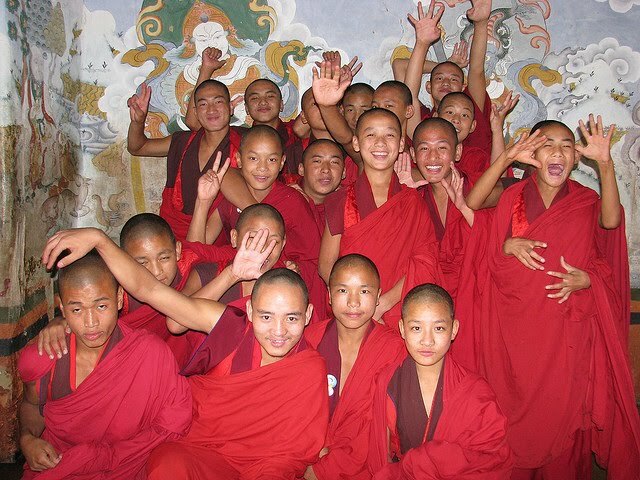 Each year there is a festival at the Dzong called Demoche and it recalls the 1639 invasion of the country by the Tibetans who were successfully repulsed. The monastery is positioned at the confluence of two rivers, which have the most marvellous names. The first is Pho Chhu and the second is Mo Chhu. They translate simply as father and mother. 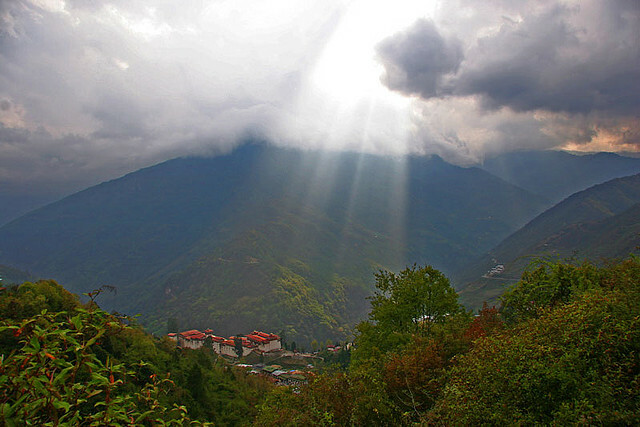 Travel less than ten miles north of the capital of Thimphu and you will discover the Tango Monastery. 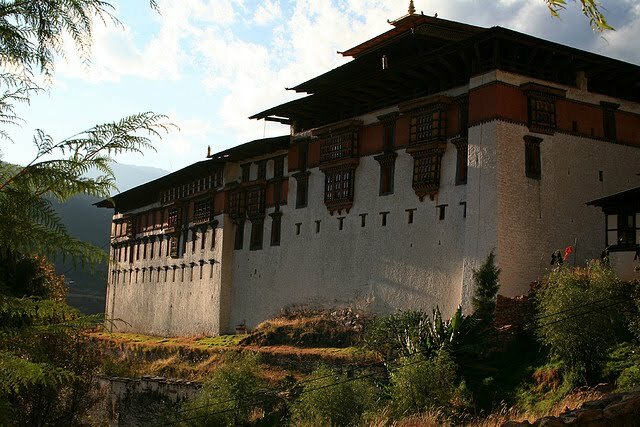 Founded in the thirteenth century the building itself dates from 1688 (as you may have surmised the late seventeenth century was a period of much monastery building in Bhutan). 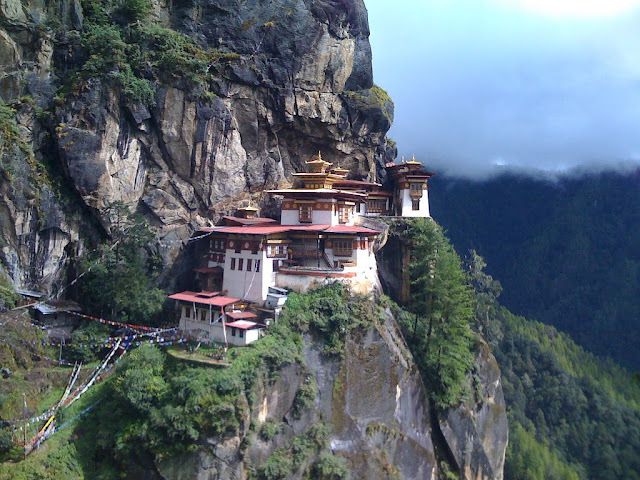 Like many Bhutanese monasteries, Tango was built over a cave where meditation and miracles were said to take place. The monastery has no less than twelve corners and, it is said, was built in only two months – including the six temples within. The center of Bhutan and the west of the country are separated by the Black Mountains. Until a few decades ago there were only foot trails in to this part of the country and you would have to forget about motorised transportation and take a mule instead. 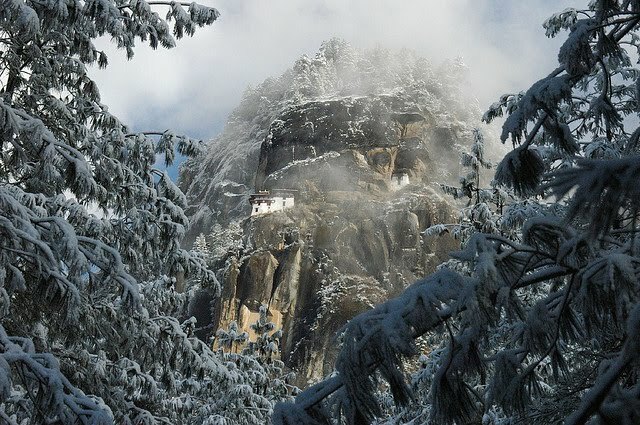 The view from the Tongsa monastery is so beautiful it is little wonder it is referred to as the door to heaven. Tongsa monastery is the largest in the country and it was built in 1648. It was constructed at this point because it is at the perfect strategic position to survey the landscape for many kilometers around. It was also built so that any visitors to the region by dint of sheer geography would have to visit the monastery – and so it controlled the traffic from the east to the west of the country. 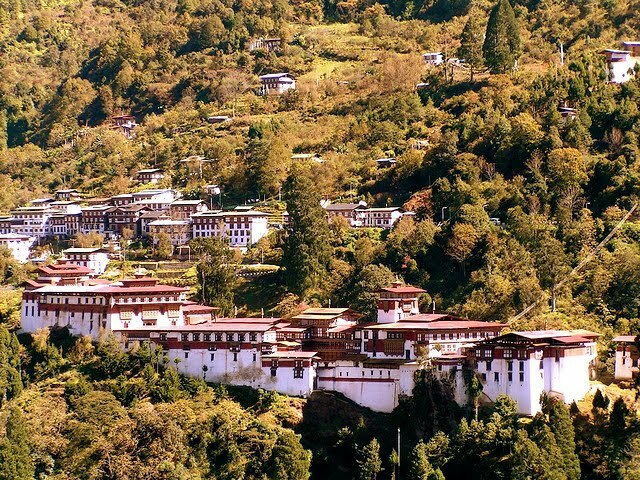 Cheri Monastery, also known as Chagri was created in 1620 by the founder of the Butanes state, Zhabdrung Ngawang Namgyal. It is close to the capital city, but once you travel those ten miles you will have to spend the next hour walking up the hill to reach the monastery. Namgyal was only twenty seven when he founded the monastery and he retreated there for three years after its construction as well as many other times in his life. 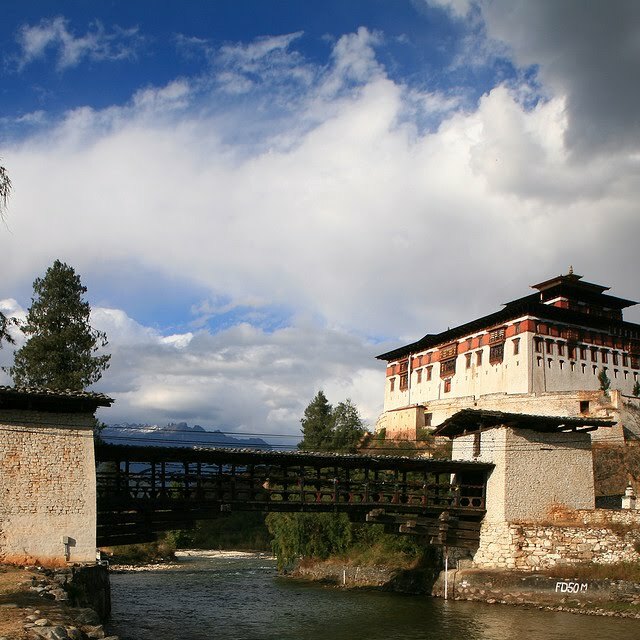 Paro is home to the only international airport in Bhutan so the chances are that the Rinpung Dzong might be the first you lay your eyes on if you were to visit the country. 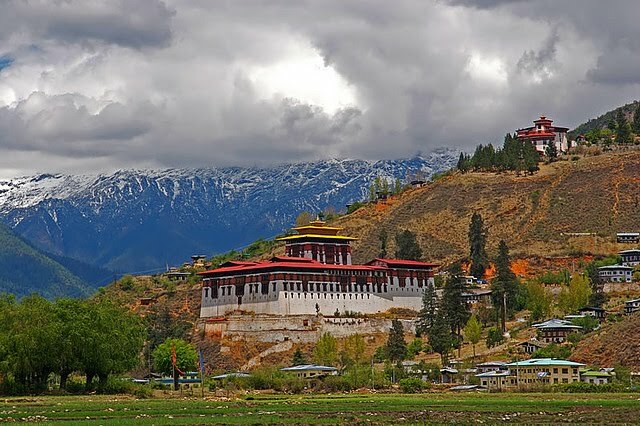 It was built in 1647 and was intended to serve as a defense against the Tibetans (who seemed to have something of a habit of invading this country). The name Rinpung means a on a heap of jewels and you can perhaps see why it was given this name. The monastery has had a troubled history – t survived an earthquake in the 1800s only to be severely damaged by fire in 1907 – which is why perhaps it looks fairly new. You may recognise the site from the movie Little Buddha much of which was filmed in the dzong. There are an amazing fourteen shrines and chapels in this five storey structure. 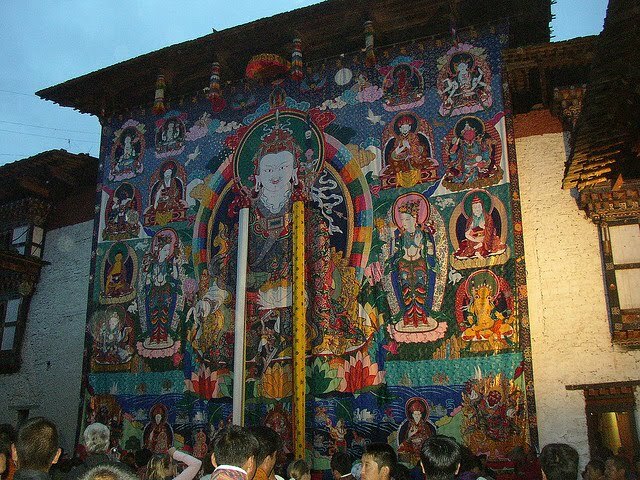 Each year an enormous banner which shows the eight manifestations of the Guru Rinpoche is shown to the pilgrims. The festival (which is known as a tsechu) lasts for fifteen days and on the dawn of the last day the Tongdrol banner is unfolded. A few hours later it is removed until the next year. 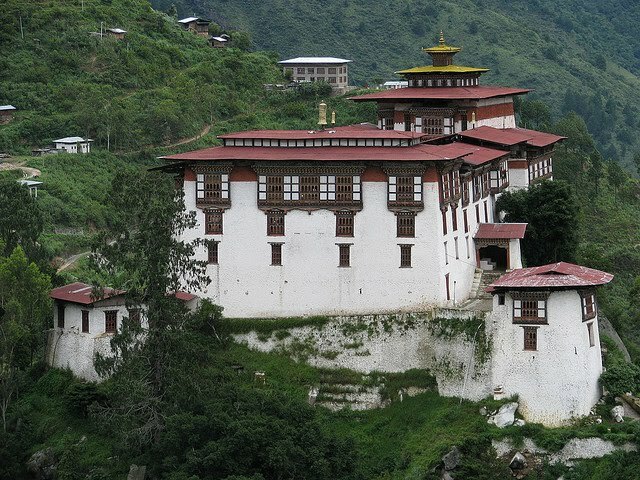 This Dzong was the home of the royal family of Bhutan for many generations but has been a monastery since 1654. 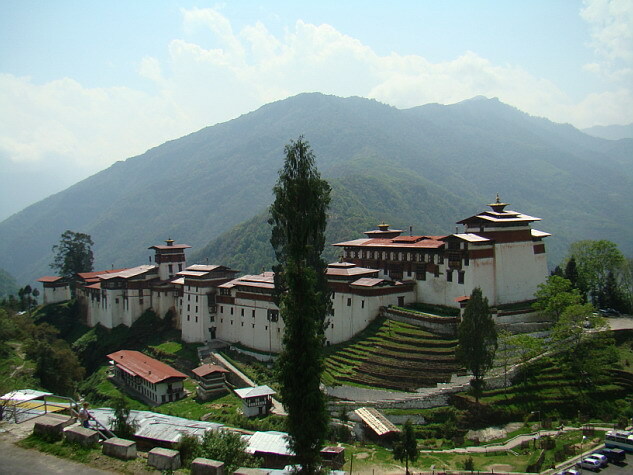 There are five temples inside the Dzong, all but two of them in the tower at its center. It was built here originally because the ridge upon which is stands is said to resemble the trunk of an elephant. Over 100 monks reside here – and they have a sense of humor too.